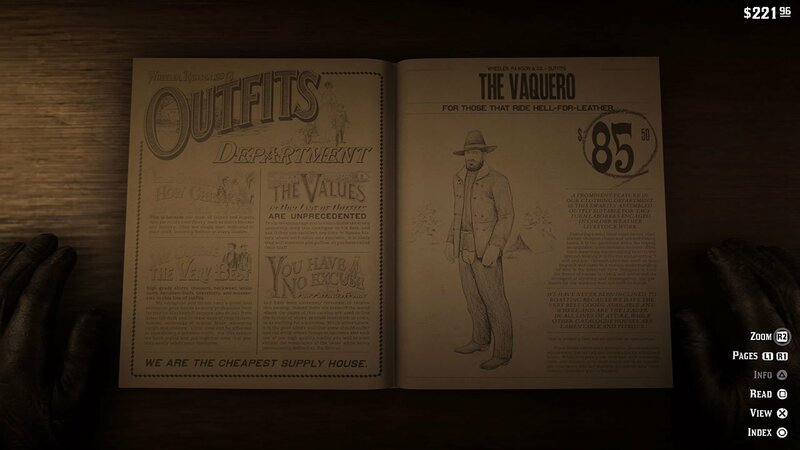 You aren’t locked into the default outfit that Arthur wears in Red Dead Redemption 2. You’re able to change your clothes at any time, and even carry multiple outfits on your horse. You can change pretty much every part of your outfit, as well as the colors of each item. Throughout the game, you’ll unlock new outfit pieces. Whilst you can also buy more clothes from the general store in town. Below, we have put together a quick guide for changing your clothes and outfits in-game. 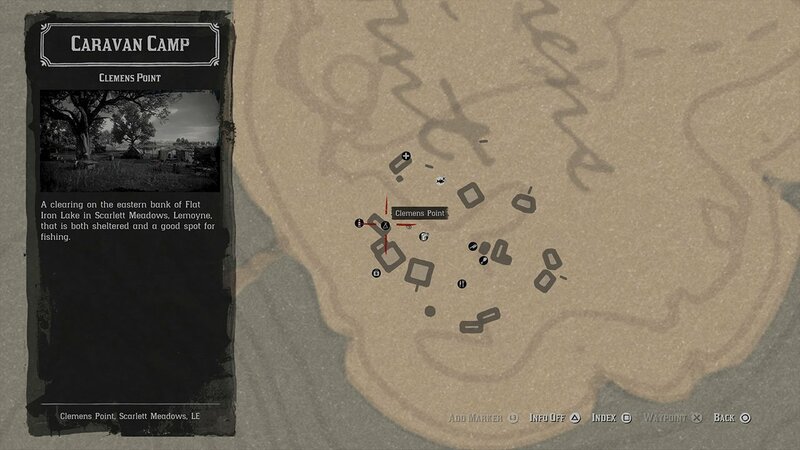 Whilst we’ve put together a few more guides for Red Dead Redemption 2 here. You can change your clothes at your wardrobe, which can be found at your own tent in the camp. If you don’t know where this is, look for the tent icon on the map and head there. The wardrobe is a trunk, which can be found in front of your bed. Interact with it to change any of your clothes. It only contains clothes which you’ve already unlocked. 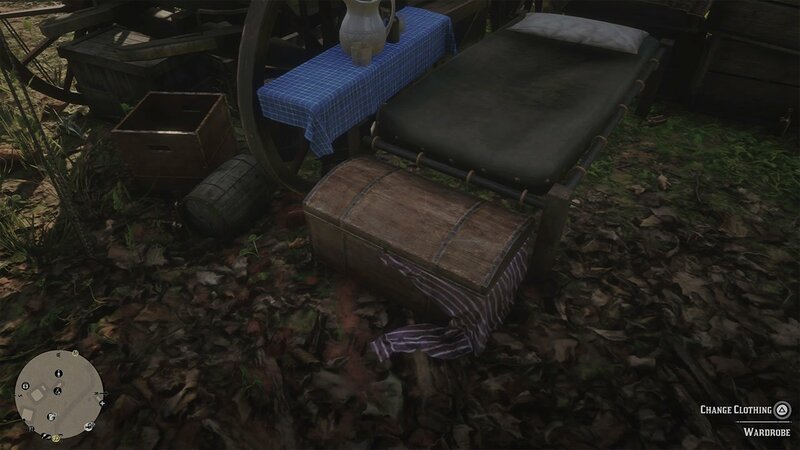 Visit the general store in town to unlock more outfits. The outfits section can be found near the back, and you can see how each outfit looks on your character before purchasing. In your wardrobe, you can change entire outfits, hats, coats, vests, shirts, pants, suspenders, chaps and much more. Some options have extra choices when it comes to colors. When you have an outfit you like, you can save it. 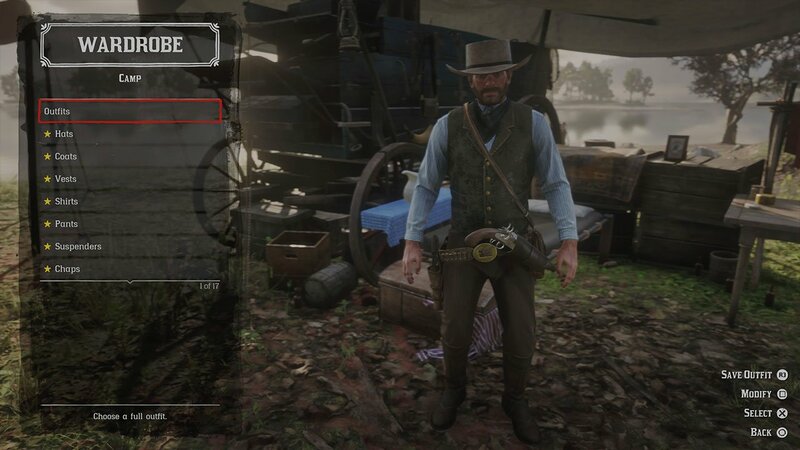 You can save multiple outfits, and put them on your horse so you can switch between them. It’s recommended to have a few outfits which are suitable for different weather and temperatures.